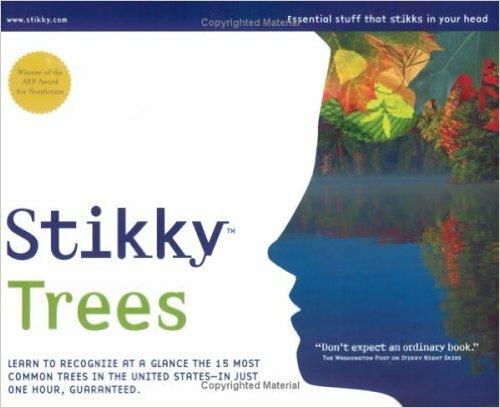 Since Friday April 22nd was Earth Day, I thought it would be appropriate to do a book review on Stikky Trees: Learn To Recognize At A Glance The 15 Most Common Trees In The United States – In Just One Hour Guaranteed. This book is just one in a series called The Stikky Series, and they are called the Stikky series because, well, what you learn from these books most definitely stick! When I saw this book I did not really believe that I would be able to identify fifteen trees just after an hour on the topic, but it got so many amazing reviews I decided to go for it. After reading this book I just had to share it with others, and everyone who read it said the same thing: this type of book should be used in schools. Many said that it was so cool because they were able to correctly identify so many trees after reading it. The first time driving around after reading the book, I was like an excited little kid blabbering and pointing out the different trees I saw along the way, a lot of the times annoying my friends or family with my bubbly excitement of being able to identify the trees. Stikky Trees actually made it fun to learn about trees and gave me a real sense of accomplishment. I can readily say with confidence that I can identify 15 of the most common trees in the United States. In his Stikky series, Lawrence Holt, a so-called “fanatic of the science of learning,” according to Amazon’s Editorial Reviews, uses a new learning method that without fail helps you learn things and actually apply it in real life. Because of its brilliance in being interesting and fun to read while actually learning and applying the topics learned, the Stikky series is a winner of the Association of Educational Publisher’s Award for Nonfiction. As explained in the book, the powerful learning method used to teach is broken down like this that on each page something new is taught, but each page also builds on what came before and reinforces it. The book also uses word associations and mnemonic devices to help remember the names and characteristics of trees. Even after a year since reading this book, I can still recognize Ashes, Aspens, Birches, Cedars, Douglas-Firs, Elms, Firs, Hemlocks, Hickorys, Maples, Oaks, Pines, Sourgums, Spruces, and Sweetgums. It not only teaches you to identify these trees, but to manage to give an estimate on the age of trees, the difference between a leaflet and a leaf, and how to read a landscape’s history by its trees. After a brush up recently, I realized I learned a lot more than that. This book taught to me the real importance of trees and to appreciate the trees we have on our land, each one different and unique with purpose and beauty. Without them we would not be able to breathe or do anything. Knowing just a little about the trees I see around me gave me a certain connection to them and the plants and our earth that I did not have before. It made me care more. It made me a little more attentive to the earth around me. 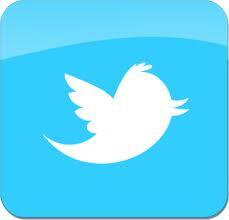 Knowing a little more about something captures a little more of my care and attention. The earth has lungs, you either help them breathe or watch them die. So, in honor of Earth Day and this book, go plant a tree! This earth needs you as much as you need it.